“Performance Measurement, Management, and Improvement: Why is it Important?” was presented by Christine MacDonell, FACRM on Thursday, February 1st, 2018. Chris MacDonell is currently the Managing Director of Medical Rehabilitation and International Medical Rehabilitation and Aging Services at CARF International (Commission on Accreditation of Rehabilitation Facilities). 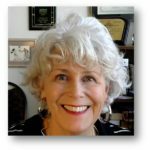 She began her varied career in the health care industry as an occupational therapist after receiving her Bachelors in Occupational Therapy from the University of Southern California. While in California, Chris became an administrator of a full rehabilitation continuum of care providing oversight across the organization. Chris is also a Fellow of the American Congress of Rehabilitation Medicine. Chris travels nationally and internationally promoting and interpreting rehabilitation standards of care to optimize delivery across the rehabilitation continuum. Chris is well published on a number of clinical and administrative topics and is frequently invited to speak on her areas of expertise. Recognize ways to share performance that is meaningful for key stakeholders in pediatric rehabilitation. 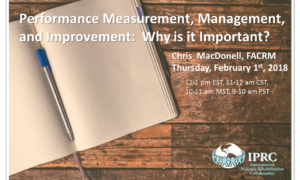 During this webinar, the presenter will review the foundational steps to establish mission-driven measurement – the four pillars for a strong performance measurement, management, and improvement system. She will also provide and review a checklist to ensure that attendees are able to create a performance system that will provide the information sought, increase value brought to their organization, and be dynamic enough to address changing environments and demands. Members may view the recorded webinar and download slides by logging in below. Registration fee for non-members is $179. Not a member? Consider joining today.